Celebrations like Mother’s Day and anniversaries or milestones like births and graduations are a splendid time to commemorate with a designer bracelet. Bennion Jewelers in Salt Lake City, UT carries a beautiful selection of elegant, designer bracelets perfect for any occasion. If you need a gift for a loved one or are looking to add to your collection of fine jewelry, you’re sure to find that exact piece you want. Our collection of luxury and designer bracelets include gemstones, pearls, and diamonds. We have everything from different colors and carats of gold, silver, and platinum. Whether it’s a charm to add to a chain bracelet a cuff or band to stack or that exquisite statement piece, Bennion will have something for everyone. 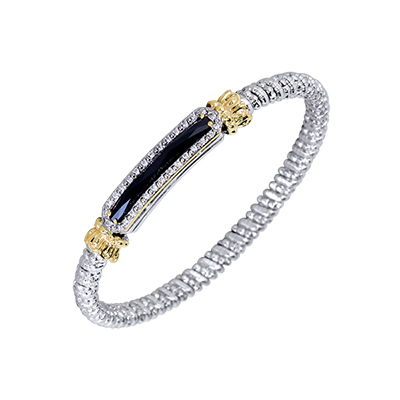 Every Vahan bracelet is a statement piece. This designer mixes yellow and white gold with diamonds, gems, and precious stones. Known for their rope-like aesthetic, Vahan is suitable for everyday wear and special occasions. We carry both cuffs and clasped pieces at Bennion. 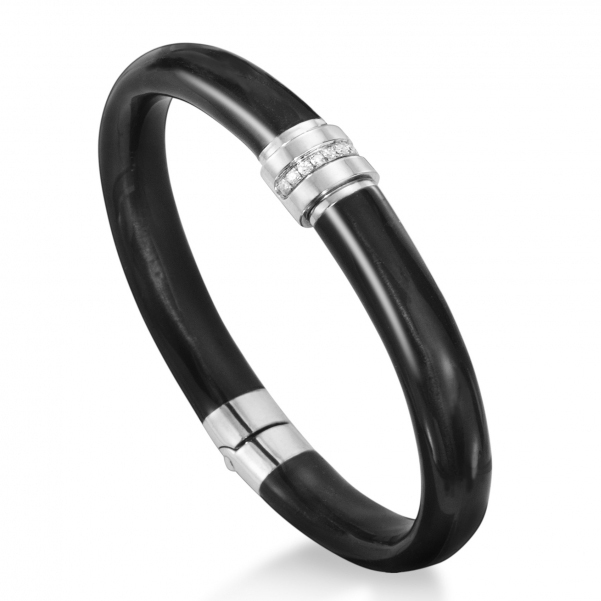 SOHO Enamel bracelets are a beautiful addition to any personal jewelry collection. 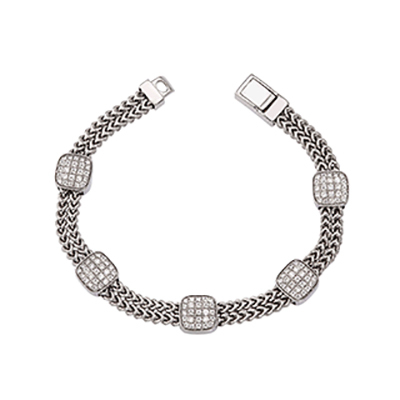 Handcrafted in Italy, SOHO is an easily identifiable designer bracelet. These versatile and luxurious pieces marry metal with gemstone-pigment enamel that is exceptionally durable for work that appears so delicate. Bennion Jewelers is an authorized SOHO retailer. Diamonds are forever, or so the saying goes. Nothing is ever as elegant, inspiring or identifiable as diamonds are. Whether they are paired with yellow, white or rose gold, a diamond bracelet is always the perfect gift for any reason. As they are a girl’s best friend, you can never go wrong, regardless if you choose a tennis bracelet or a bevel set cuff. Trust the certified gemologists with Bennion to select only the best carats, cuts and clarities with their diamonds. Reading about fine jewelry and elegant bracelets doesn’t compare to viewing them in person. We invite you to stop by our location in the City Creek Center in downtown Salt Lake City, UT. Peruse our collection yourself and select that perfect bracelet for you or for that someone special. Bennion Jewelers is known throughout the Intermountain West as the name for fine jewelry. Operating since 1862, we are unparalleled in our selection and customer service.